56% off Kate Spade Hard Cases for iPhone 4/4S - Just $19.99 each! Not a member yet? Register at Beyond the Rack. It's free! Six styles of Kate Spade Hard Cases for iPhone 4/4S are currently selling for just $19.99 each on BeyondTheRack.com! You will be saving 56% off the listed price of $45.00 with this iPhone case deal. 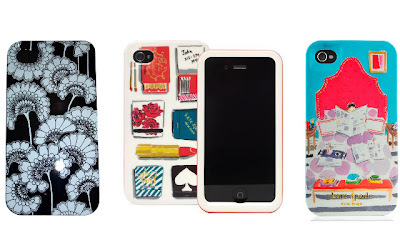 More about these Kate Spade iPhone cases . . . Cool and unique design that can not be found anywhere else! Pay shipping only once and get free shipping on all other orders placed the same day by midnight EST. The reduced-price name brand and designer items on BeyondTheRack.com are only available in limited quantities, so do not wait too long to take advantage of this discounted price. Stop by daily to shop for designer fashion deals for women, men, kids, and babies plus home furnishings deals.